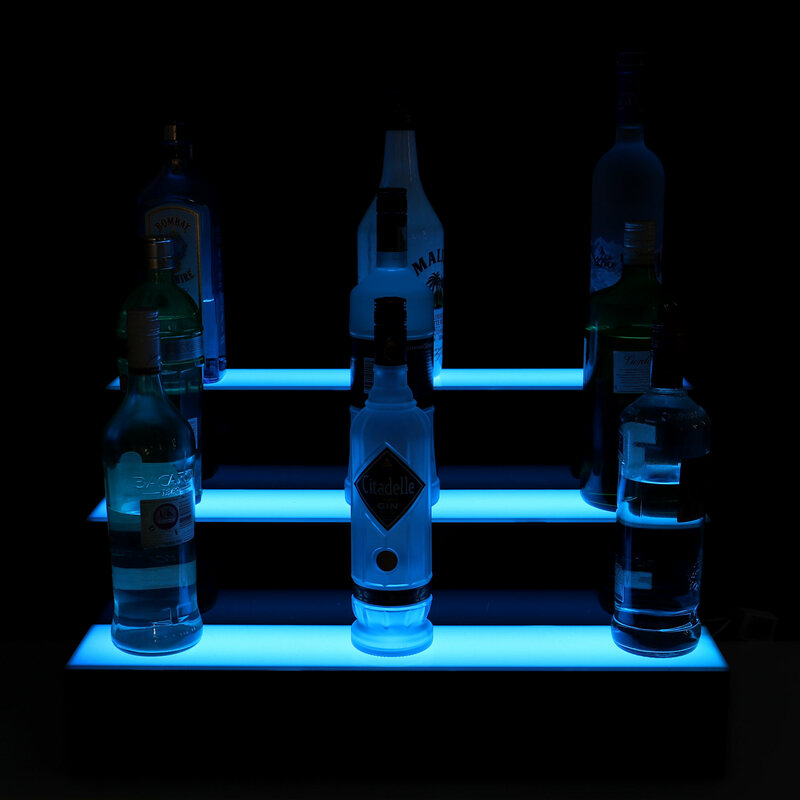 Perfect for home and commercial bars this Three Tier LED Bottle Display Stand provides the ultimate storage and display for spirits. 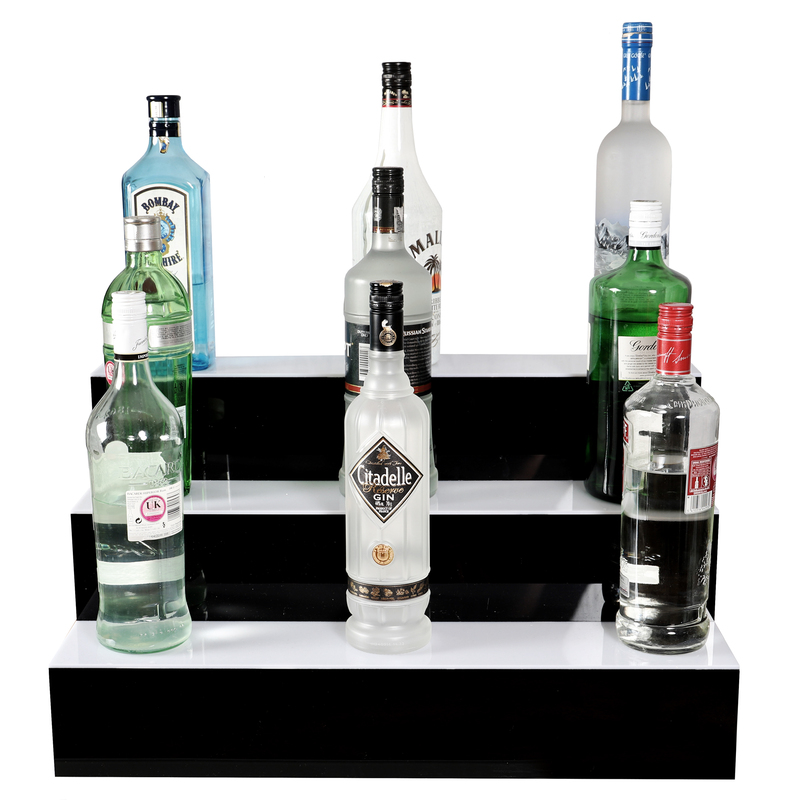 Featuring remote control operation for convenience and three generously sized levels it offers ample space to organise and display all of your chosen spirits and bottle. 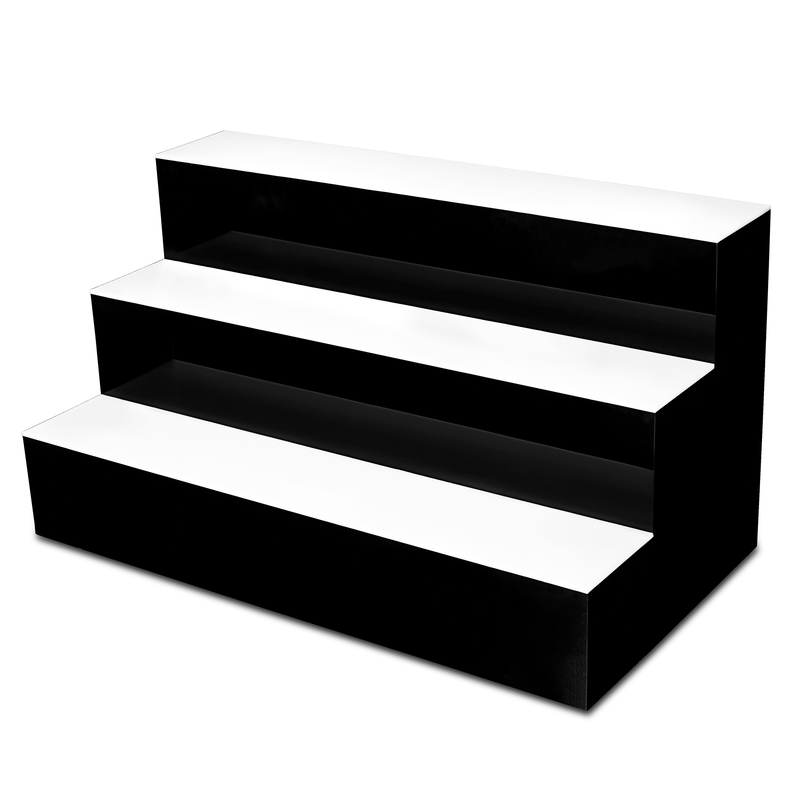 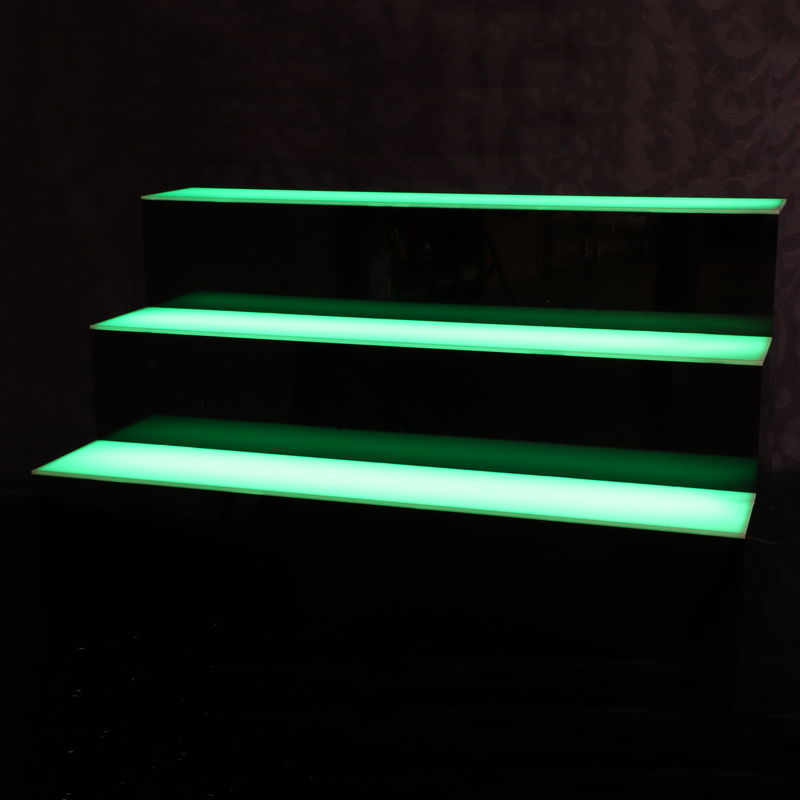 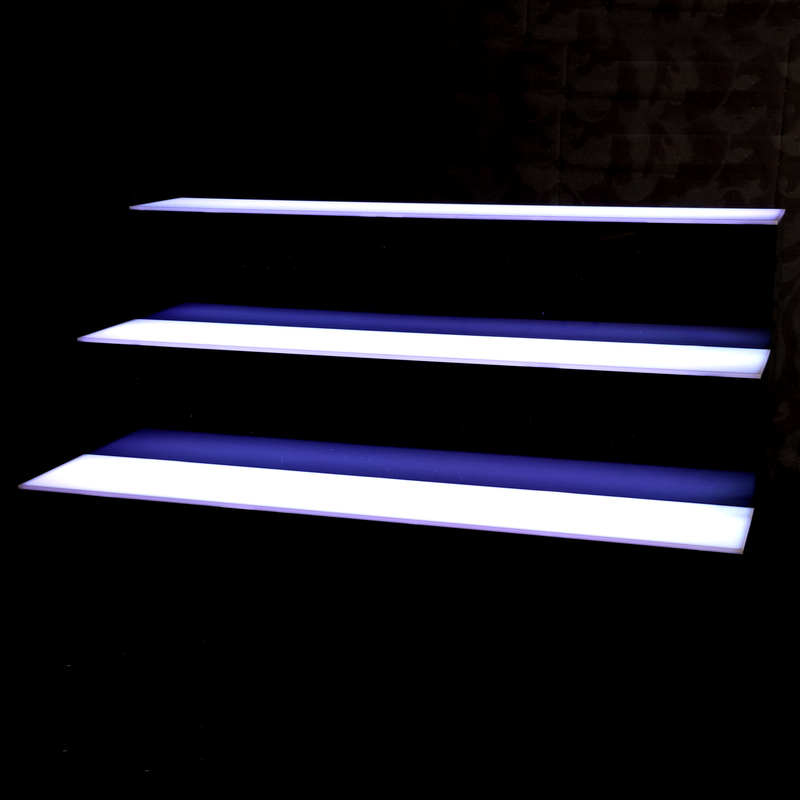 Boasting three different light settings and four colours this light up stand has a huge range of different options. 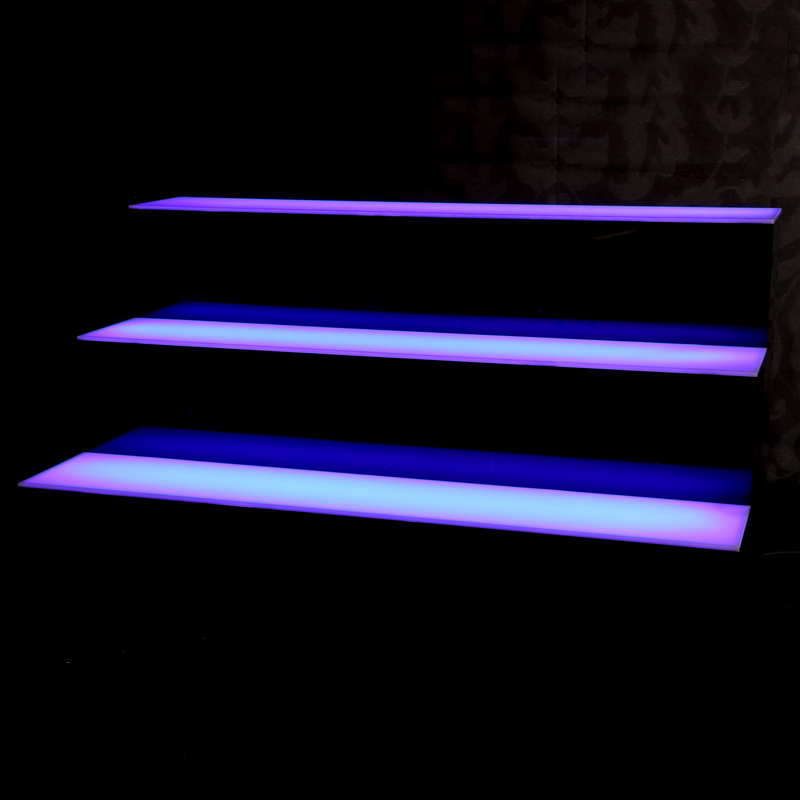 With four main colours red, blue, white and green that can be changed to pink, purple, yellow and light blue with the gradient change setting, you can customise your light display to suit your interior and decor or personal preference.